[ Please select ]L Black $129.00 - SAVE 121.00!L Blue $129.00 - SAVE 121.00!L Silver $129.00 - SAVE 121.00!M Black $129.00 - SAVE 121.00!M Blue $129.00 - SAVE 121.00!M Silver $129.00 - SAVE 121.00!S Black $129.00 - SAVE 121.00!S Blue $129.00 - SAVE 121.00!S Silver $129.00 - SAVE 121.00!XL Black $129.00 - SAVE 121.00!XL Blue $129.00 - SAVE 121.00!XL Silver $129.00 - SAVE 121.00!XS Black $129.00 - SAVE 121.00!XS Blue $129.00 - SAVE 121.00!XS Silver $129.00 - SAVE 121.00! So compact that it can fit in your day bag, or your small backpack, without taking up much room. 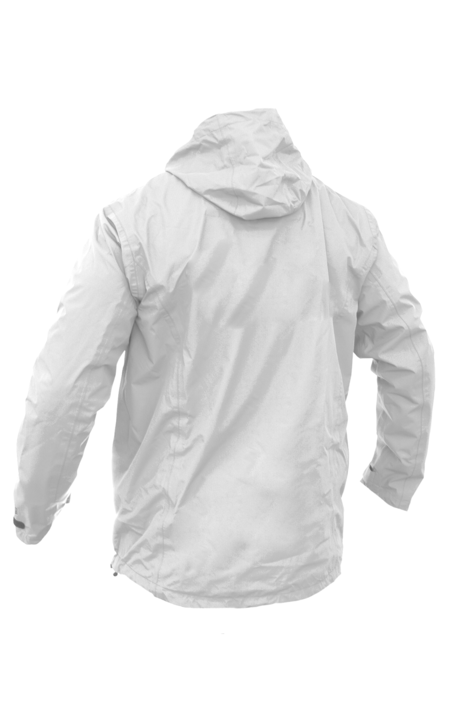 Its advanced GCX 2.5 waterproof and breathable fabric make these a great lightweight top for Sailing, Tramping or any activity that requires a super lightweight waterproof and breathable outer layer. 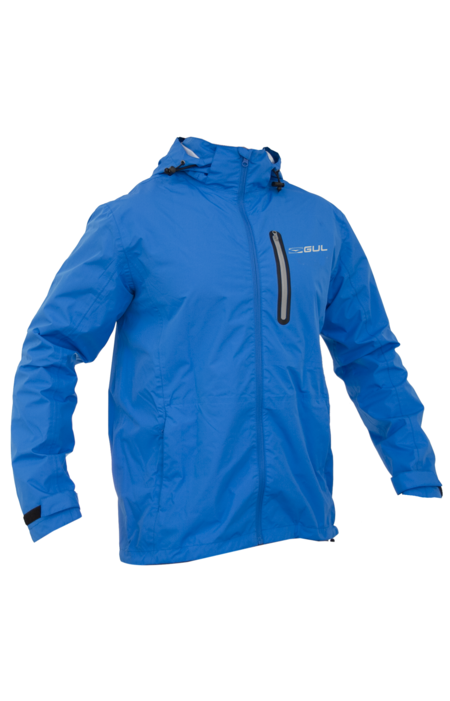 The Gul Code Zero lightweight jacket provides a versatile jacket for a range of watersport activities. Its advanced GCX 2.5 fabric has been engineered to keep you warmer for longer, whilst keeping you comfortable and dry. 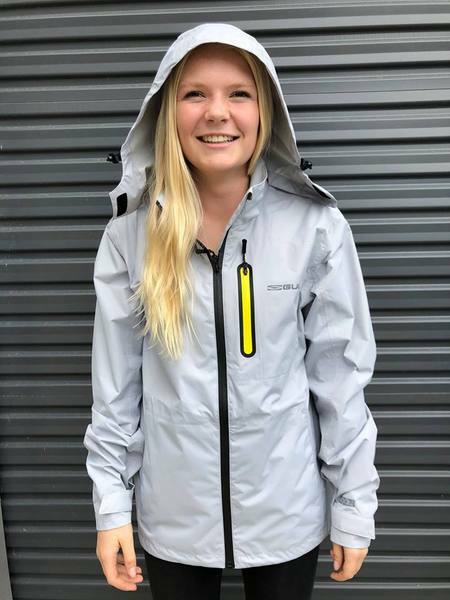 The Code Zero lightweight jacket is featured with 100% waterproof taped seams, and hand-warmer pockets contributing to increased warmth and comfort. A bonded zipped pocket is placed on the chest, for storing small items at ease. A stow-away adjustable hood can be quickly pulled out and over, and an adjustable hem helps achieve a better fit. Our Code Zero lightweight jacket will become an essential piece of your watersports kit, allowing you to perform at your best for longer. If low weight and packability are top priorities for your next adventure, choose our CODEZERO Lightweight 2.5 GCX Jacket. Fully seam sealed and featuring GCZX 2.5 Fabric, you'll be dry not matter how wet things get. Side hem adjusters and velcro cuffs ensure a comfortable fit and help lock in extra warmth on those chilly days on and off the water. For everyday to difficult conditions GCX2.5 fabric will keep you warm, dry and comfortable. Gaining the most from your watersports experience, allowing you to perform at your best for longer!